The Res Care Value Pack provides 10 months of continual water softener cleaning with the Res Care Easy Feeder and 4 replacement bottles. 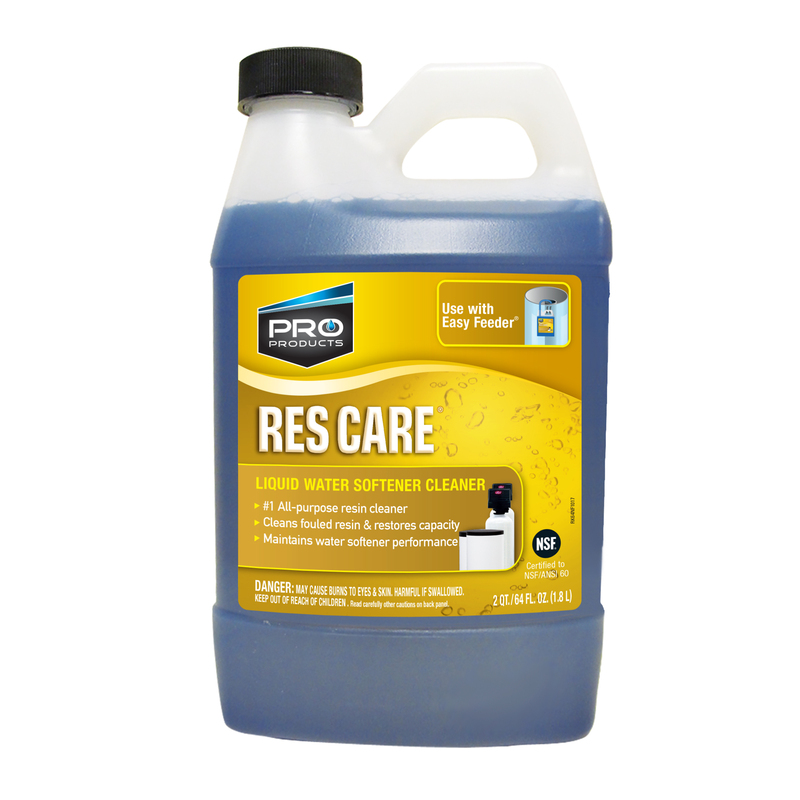 Pro Res Care is a specially formulated liquid resin cleaner designed to rid the softener of contaminants that salt alone cannot remove. 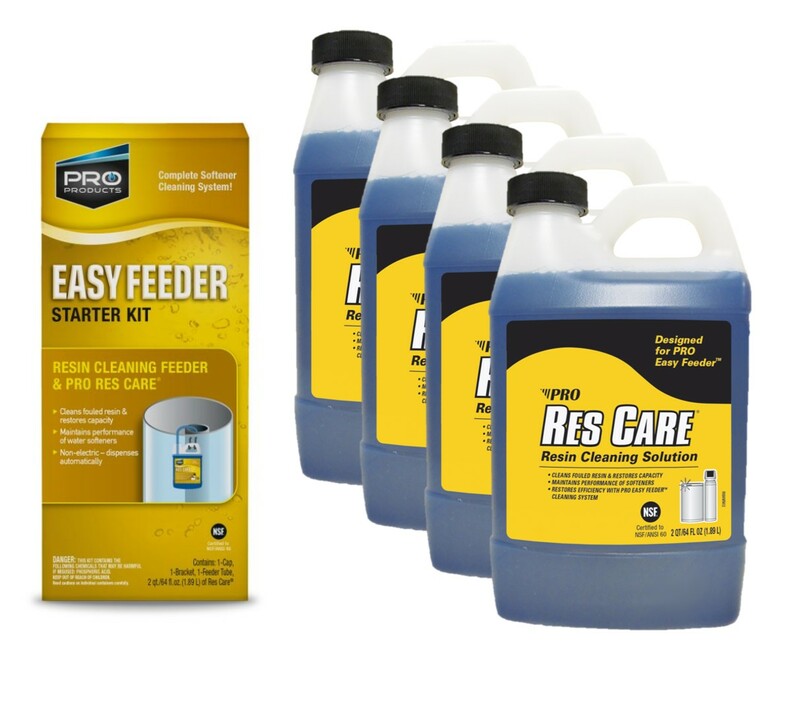 Regular use of Res Care resin cleaner will restore the softener beads and control valve parts back to peak efficiency and maintain the life of the unit. 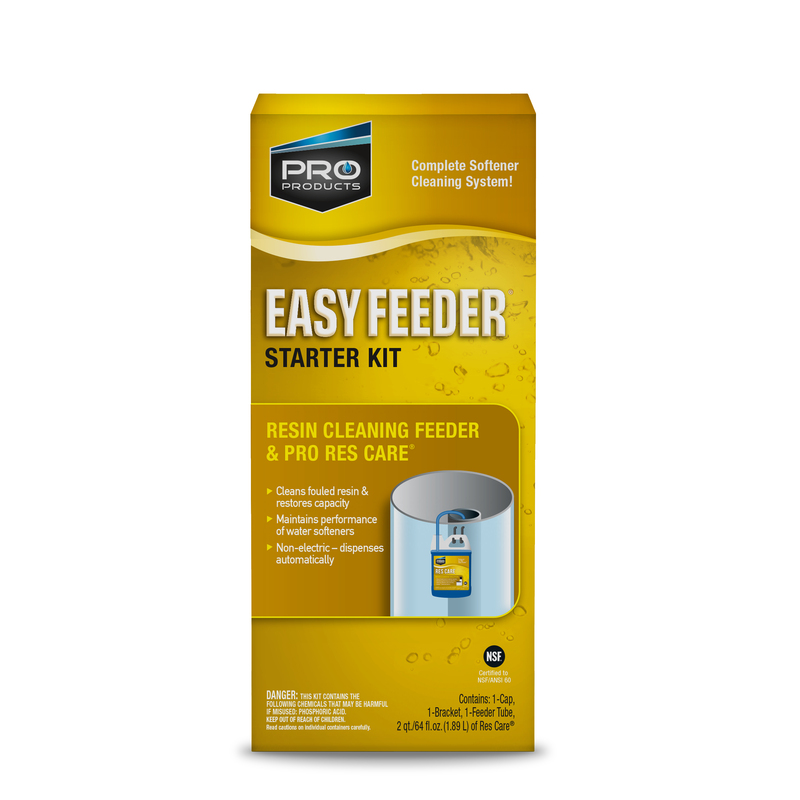 99% of water softening occurs inside of the resin beads. Salt only washes away the calcium but leaves the iron, manganese, silt, metal particles and organic compounds. Over time, these will coat the resin bead causing inefficiencies or total failure. Res Care will prevent that from happening and protect your investment.